Great Black-backed Gull (1st cycle). Polk County, Iowa. 02 December 2017. Great Black-backed Gull (adult). Pueblo County, Colorado. 02 December 2017. Believed to be the same returning adult for the 24th year! California Gull (adult). Butler County, Pennsylvania. 03 December 2017. Black-headed Gull (1st cycle). Wakulla County, Florida. 03 December 2017. Black-headed Gull (adult). Riverside County, California. 05 December 2017. Black-legged Kittiwake (adult). Cibola County, New Mexico. 06 December 2017. Slaty-backed Gull (adult). Kenosha County, Wisconsin. 10 December 2017. Slaty-backed Gull (adult). Benton County, Washington. 11 December 2017. Likely a reoccurring bird from last two winters. California Gull (adult). Ketchikan Gateway County, Alaska. 16 December 2017. Thayer's Gull (2nd cycle). Bucks County, Pennsylvania. 16 December 2017. Sabine's Gull (1st cycle). Galveston County, Texas. 17 December 2017. Herring Gull (1st cycle). Nome County, Alaska. 21 December 2017. Subspecies undetermined. 2nd latest record locally. Kamchatka Gull (adult). Digby County, Nova Scotia. 24 December 2017. Returning individual for third consecutive winter. Black-legged Kittiwake (1st cycle). Chambers & Harris County, Texas. 25 December 2017. Black-legged Kittiwake (1st cycle). Ottawa County, Michigan. 26 December 2017. Kumlien's Gull (2nd cycle). Nanaimo District, British Columbia. 27 December 2017. Mew Gull (1st cycle). Franklin County, Ohio. 28 December 2017. 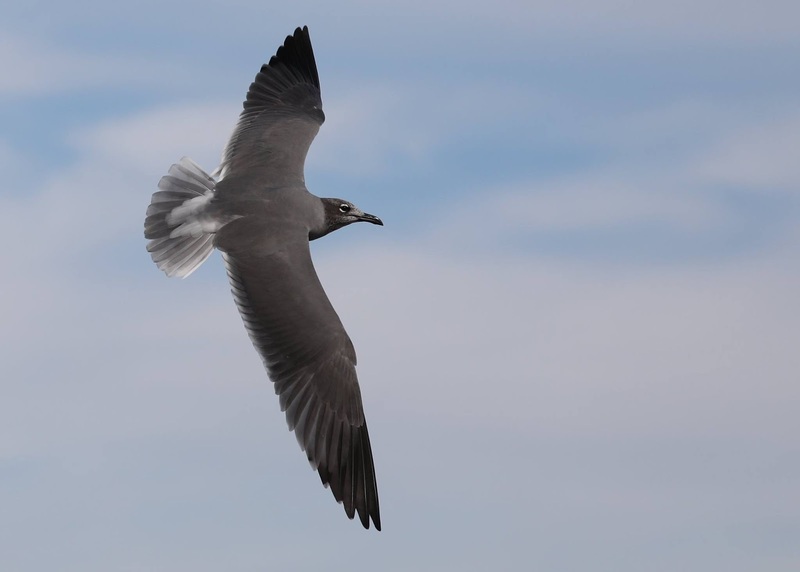 Laughing Gull (adult). La Salle County, Illinois. 28 December 2017. Dark American Herrings or Hybrids?